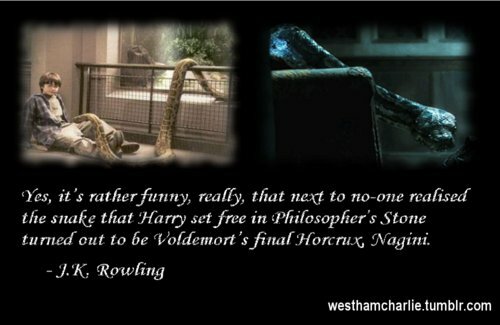 Harry and Nagini. Pretty cool huh? I never realized this! :0. Wallpaper and background images in the Гарри Поттер club tagged: harry potter tumblr books sorcerers stone deathly hallows nagini snake zoo. This Гарри Поттер fan art might contain концерт, знак, плакат, текст, классной доски, and доске.